Full Stack Developer with 10+ years of experience. My skillset includes ............................. Backend Development:Python Front end: Data Visualisation, HTML5, CSS3,...Read moreFull Stack Developer with 10+ years of experience. I used to follow best practices and industry standards. This is the second time using Abdullah's services. He does a great hob. 5 Stars! Abdullah did a great job fixing openssl. He was efficient, knowledgeable, and helpful. I will happily utilize his services again, and I recommend his services highly. Abdullah was a pleasure to work with as always. Very thorough. Abdullah was very helpful and patient from the start, achieved everything asked of him and was reliable. We will be very happy to work with Abdullah again. Thank you again this is the 2nd time we work together and still surprise me with your quality skills!!! Really happy with the work and already decided to give him my next website job. 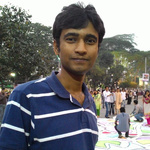 This guy is a magician with WP and exceptionally gifted and creative in wordpress.